Photographs of Daphne, Karen, Larry and sometimes Joel as well as the other guests on our trip to the Galapagos. Taken during our hike at Punta Pitt on San Cristóbal Island in the Galapagos. 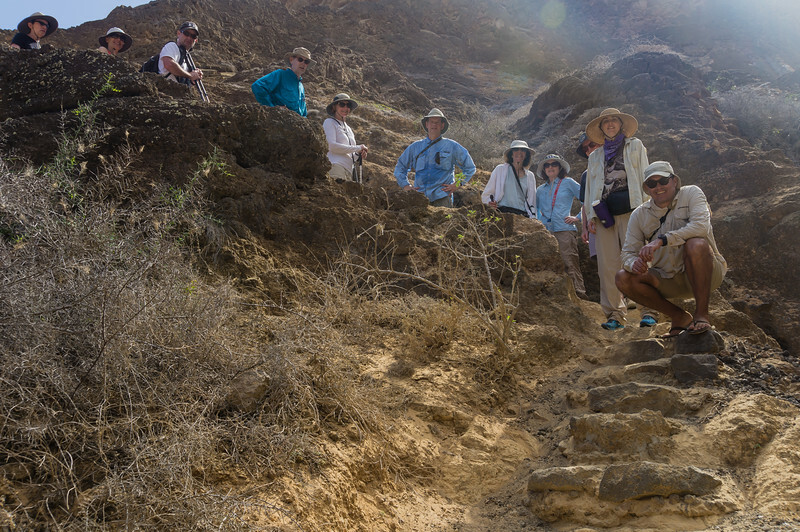 From right-to-left: Fernando (our guide), Daphne, Bernie, Karen, Barbara, Larry, Theresa, Bill, Even, Tracey and Julia.